The ancient town of Huangsiqiao peacefully stands in the mountains about 24 kilometers west of Fenghuang County (famous destination included in the affordable China travel packages). 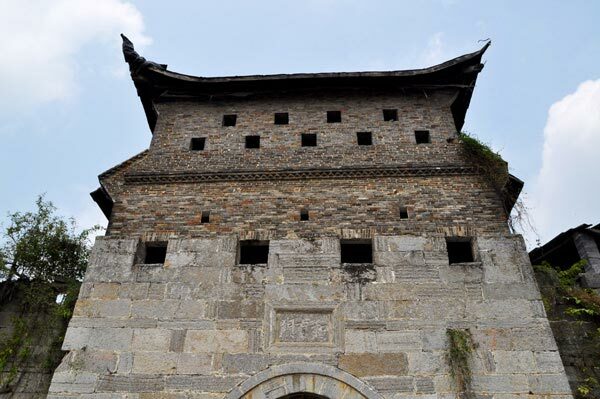 With a history dating back to more than 1,300 years, the town of Huangxiqiao was first in 687 of the Tang Dynasty, and was known as Weiyang Town when soldiers resided here. 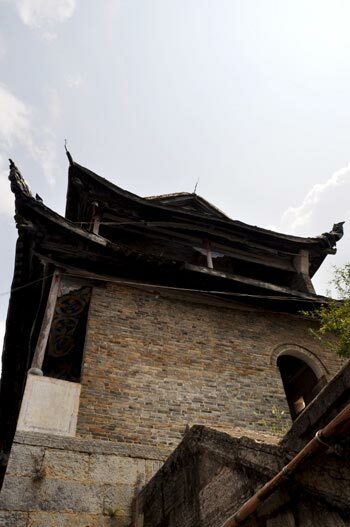 Located in an area where there were often fights between the Qing government Emperor Kangxi and the Miao ethnic minority group, Huangsiqiao was rebuilt from its old clay structures into a stone town by the Qing government for military purposes. 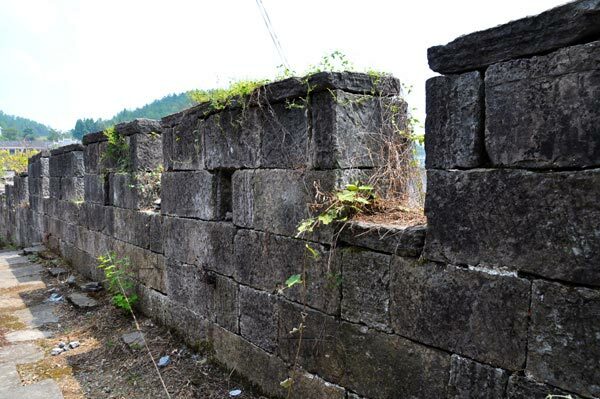 After the Qing army moved to what is today Fenghuang town, Huangsiqiao became a residential town for local people, and the military structures were gradually abandoned. Standing on the town wall and looking out from the remnants of the old battlements, you can imagine the scenes in ancient times. Like most other ancient cities, Huangsiqiao has four gates, although the south one has been permanently closed. One local resident said according to fengshui principles, the southern gate is at a fire location, so if it is open, a fire could occur. There are interesting folk tales behind the remaining three gates. The eastern gate, called the "lucky gate," is the one that the residents use most often and serves as the town's main entrance. It is the entrance for happy events such as weddings. By contrast, the north gate is used for funerals. The west gate belonged to the chief of the Miao people (you can learn more about this ethnic groups via travel China guide) in ancient times, so only he and his tribes used it. Besides the ancient city wall, the interior of the town is similar to other villages the area. People live here peacefully. You can see goats in enclosures, ducks waddling down the lanes, and local residents processing corn outside their houses. There used to be about 100 households in the ancient town. But because of the development of the local China tourism industry, around half of the residents have moved. In a few years, the town will be rebuilt in the style of the Tang Dynasty, and no one will live here. While this might be beneficial for improving the local economy, it will be a pity that visitors will no longer be able to see the local people's way of life for their popular China tours.